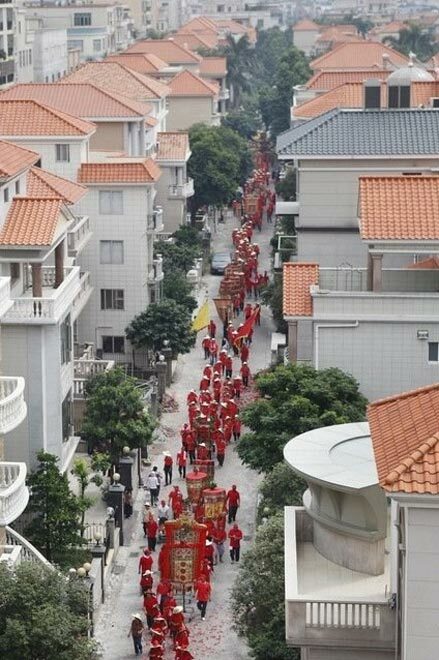 At 12:00, 18 Otc, Shunde Junan Guandi Parade was officially started. 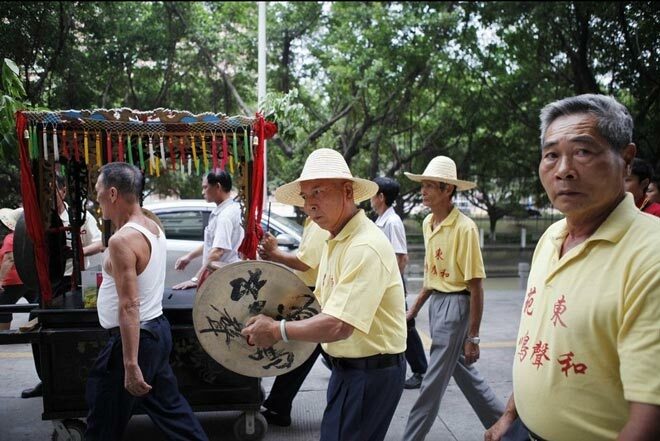 In the sound of gongs and drums, more than a decade brawny men lift the golden Guandi imperial carriage, set off from Guan Di Temple threshold according to the cruise lines. 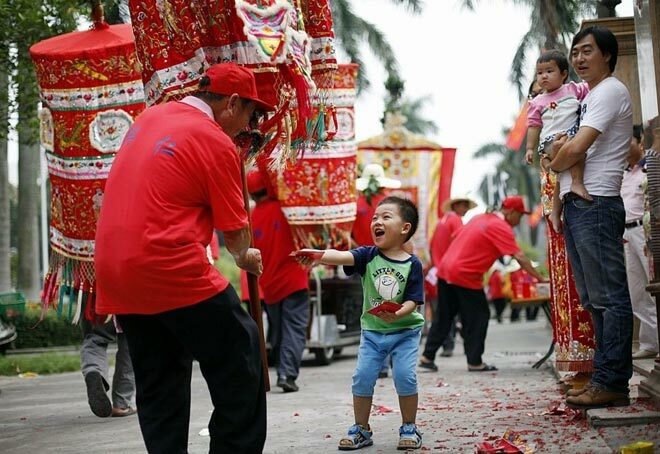 As the most important annual folk in Junan, Junan Guandi Parade is also the largest scale of folk activities among the towns of Shunde, the parade lasts for 15 days, during which people turned out, and the excitement goes far beyond the Spring Festival. 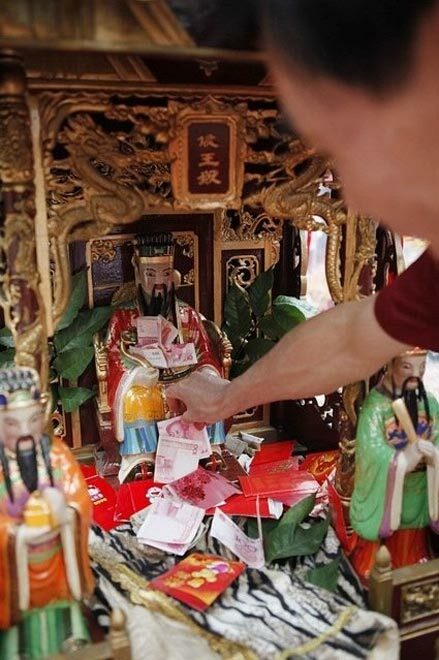 This picture shows a 3-year-old child gave the parade team members red envelopes filled with money. 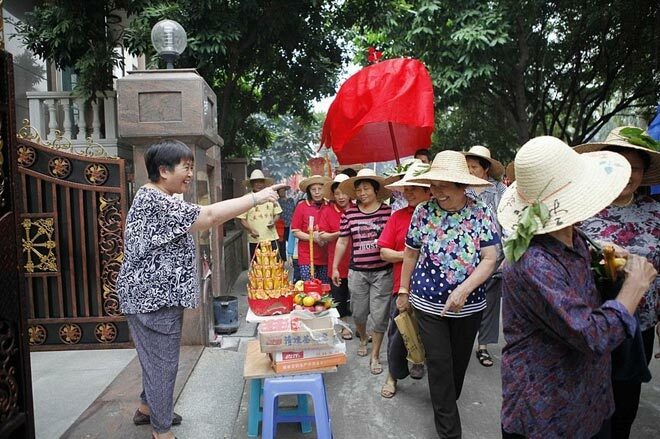 Early in the morning, villagers in Sanhua Village came to the Guan Gong Temple in East Gate Street. 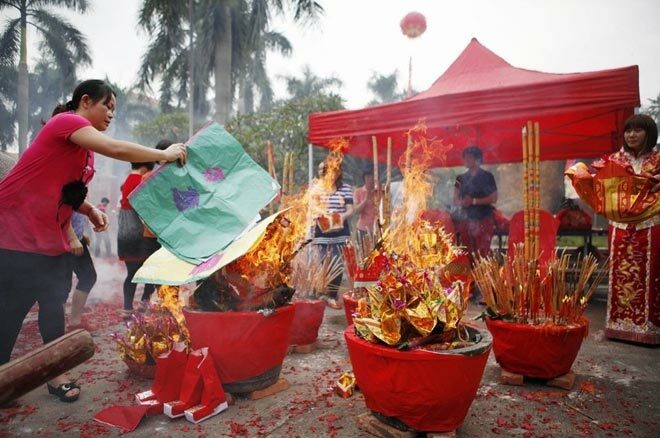 The gongs and drums were parked in front of the temple Plaza, at about 10 o'clock in the morning, the other villagers began to join, with more and more colorful big umbrella-like things and constantly the sound of firecrackers and gongs and drums. 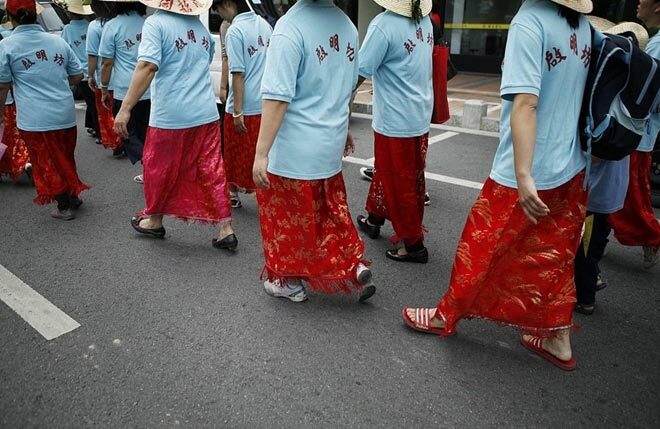 They were waiting for the most important time – Qigong, the first part of whole Junan Guandi Parade. 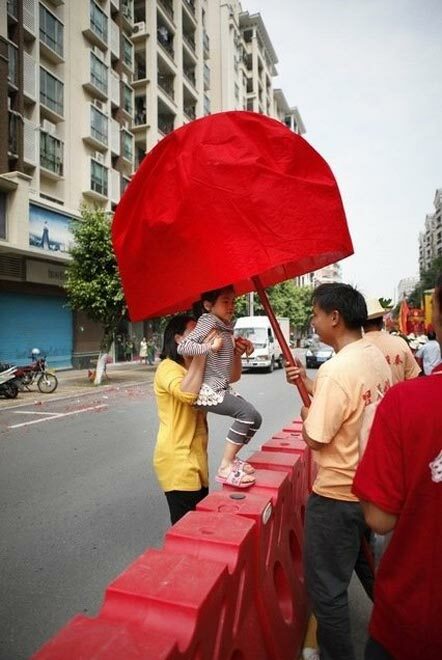 The picture is the parade in Yihua Park. The golden Guandi imperial carriage weighs about three pounds, need four strong men to lift the, at the same time there are other more "bench" besides, ready to take over. 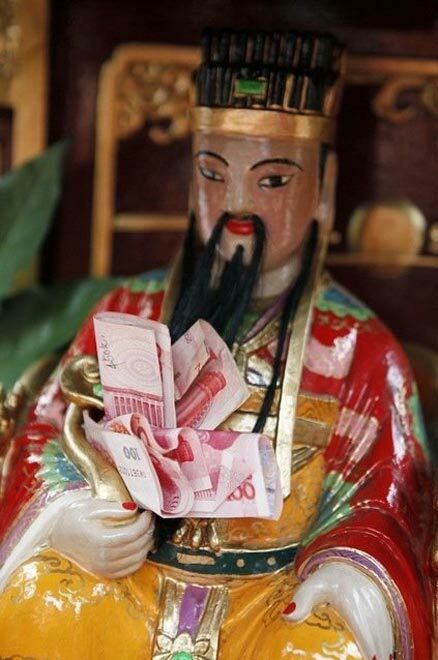 This picture: Guandi statue is stuffed with lots of RMB. 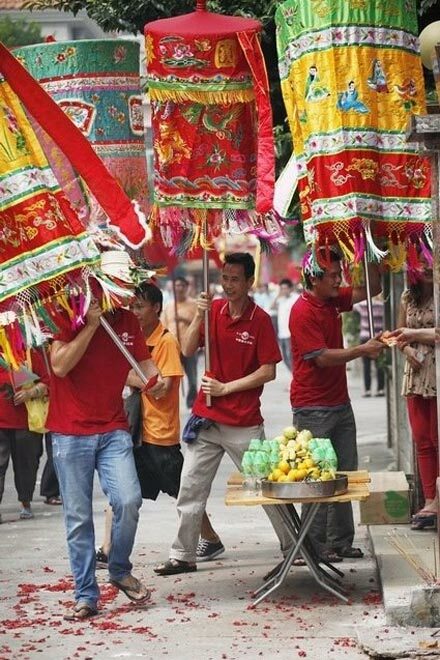 At the very 12:00, with the sound of gongs and drums, the Parade was started. 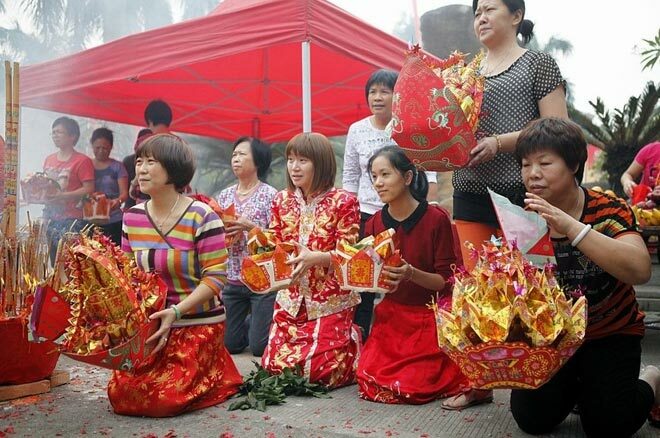 This picture is the parade team sent blessings and asked for red envelopes filled with money from house to house. 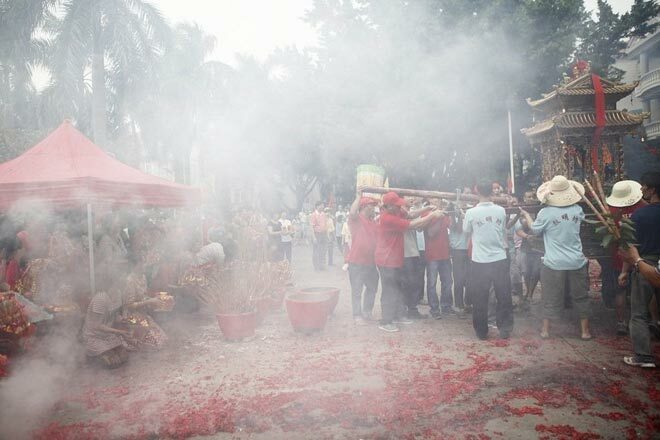 Since 1851, when five villages nearby jointly decided to hold the Guandi parade", this folk has gone through 161 years of history, apart from a short break in the" Cultural Revolution "period, mostly are spectacular events in the folk of Junan. 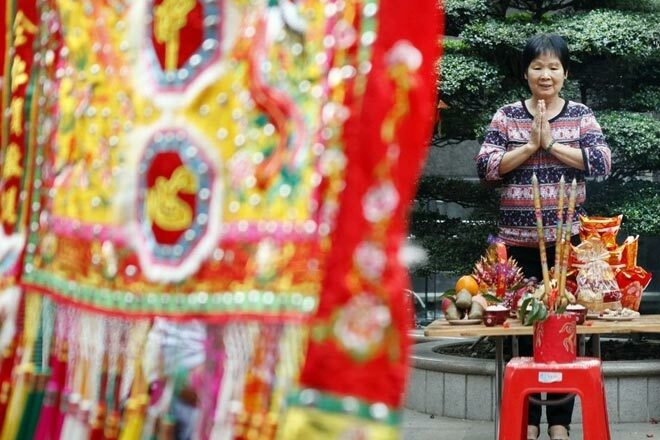 This picture shows a woman kneel down to pray when the parade passed through Yihua Park. Such folk parade becomes popular with the force of some enthusiastic people to mobilize and organize the folk parade customs. This mother held the little girl like this for blessing. 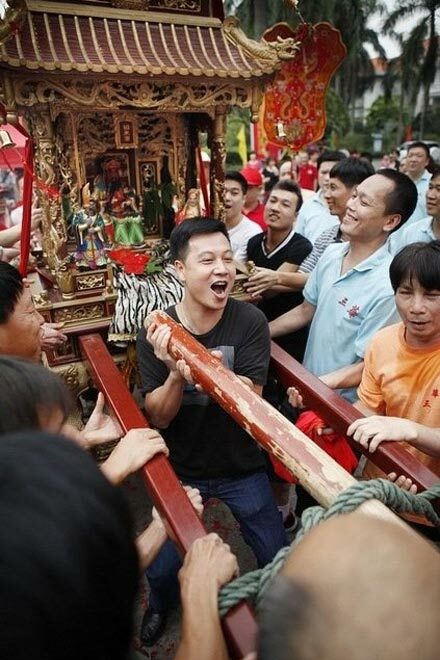 The parade team members scrambled to carry the statue of GuanDi Temple. 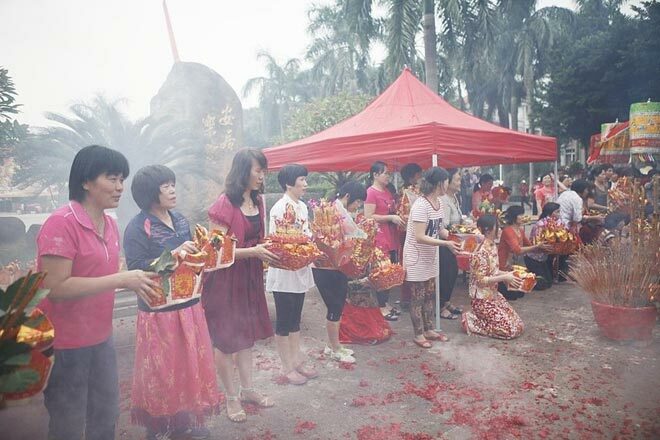 Many female believers kneel down to pray in front of the main entrance of Yihua Park. The hostess placed fruit and drinks in front of the house, to entertain the passing parade. 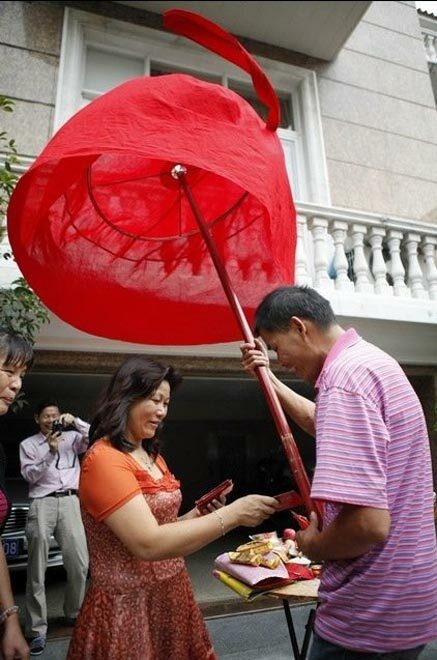 Female players in the parade were all wearing red silk cloth.